Acupuncture has been used to treat the problem of hot flashes in healthy postmenopausal women. 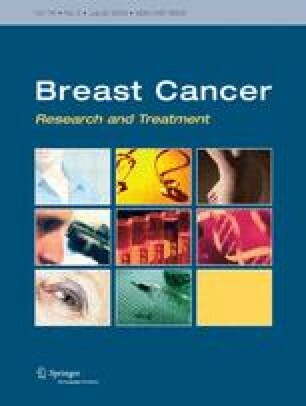 The object of this study was to investigate the efficacy of acupuncture in women with breast cancer suffering from hot flashes as a result of anti-oestrogen medication. In a prospective, controlled trial, 59 women suffering from hot flashes following breast cancer surgery and adjuvant oestrogen-antagonist treatment (Tamoxifen) were randomized to either 10 weeks of traditional Chinese acupuncture or sham acupuncture (SA). Mean number of hot flashes at day and night were recorded prior to treatment, during the treatment period as well as during the 12 weeks following treatment. A validated health score (Kupperman index) was conducted at baseline, at the end of the treatment period and at 12 weeks following treatment. During the treatment period mean number of hot flashes at day and night was significantly reduced by 50 and almost 60%, respectively from baseline in the acupuncture group, and was further reduced by 30% both at day and night during the next 12 weeks. In the sham acupuncture group a significant reduction of 25% in hot flashes at day was seen during treatment, but was reversed during the following 12 weeks. No reduction was seen in hot flashes at night. Kupperman index was reduced by 44% from baseline to the end of the treatment period in the acupuncture group, and largely maintained 12 weeks after treatment ended. No corresponding changes were seen in the sham acupuncture group. Acupuncture seems to provide effective relief from hot flashes both day and night in women operated for breast cancer, treated with Tamoxifen. This treatment effect seems to coincide with a general health improvement measured with the validated Kupperman index. Many thanks to Professor Stephen Seiler (University i Agder) for help with statistical analysis. To Jacob Myhre (administrative advisor, Vestfold Hospital) for technical help, and to Mette Amundsen (oncology nurse, breast cancer centre, Vestfold Hospital). Financial support from The Norwegian Acupuncture Association (NAFO), University of Tromsø (NAFKAM), and Vestfold Central Hospital, Norway.